Born and raised in the Heights of Pawtucket, Rhode Island, the boy who would one day become Triplelicious learned at an early age that if you wanted something bad enough you’d just have to take it yourself. The truth is that despite his thuggish demeanor, abrasive attitude, and questionable morals “Hispanic” Heriberto Heredia [*] is one of the smartest men in NCW history, and his year long journey to reclaim his place on the NCW throne is about to reach its apex. When Trip debuted in Northeast Championship Wrestling eighteen years ago in 1997, he arrived on scene with his childhood friend and partner in crime Richmond Black. 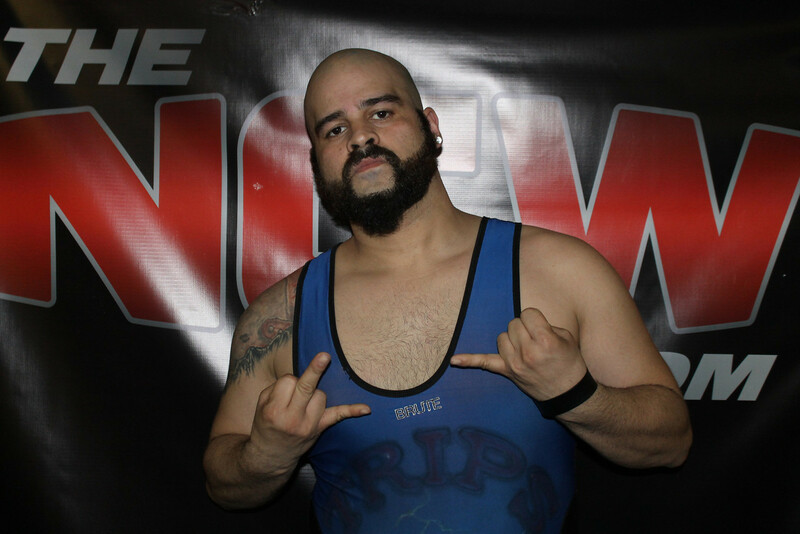 Growing up together in the Heights, Black told Trip about NCW and wanted him to join up together as a tag team to dominate the fledgling company. It should be no surprise that in Trip’s NCW debut he immediately turned on his best friend, laying him out and taking over his stable of lackeys. This one act of defiance defines everything you need to know about the Hispanic high-flyer. If he can use you, he will. The back and forth relationship [**] between Triplelicious and Black would continue for years after, and while the two would eventually reunite permanently in 2000, Black knew better than to fully trust Trip ever again. 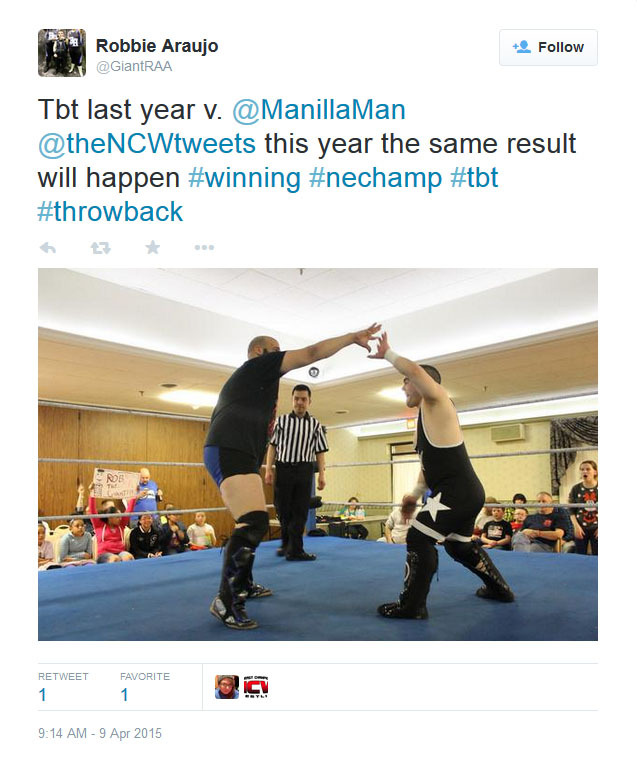 Getting paid and being Champ has also been prominent in Trip’s decisions over the years, transparently showcased in the fall of 2001 when he joined forces with longtime rival “Revolution” Chris Venom after a year plus of brutally feuding over the NCW Heavyweight Championship, when JC Marxxx brought them both into Zero Tolerance as a unit, bitter feelings be damned as long as those checks cleared for him. 2001 was the last time Triplelicious would hold gold in NCW, after he lost the at the 2001 Big City Rumble. It’s something that would gnaw on the four time former Champion for years to come, and something that would drive him going forward. 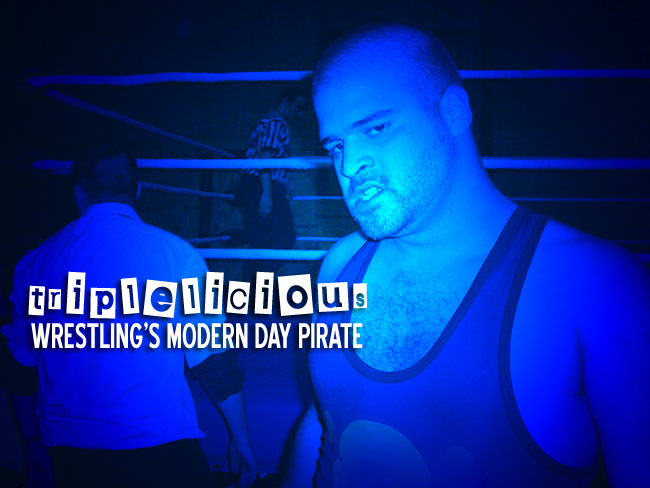 After disappearing from wrestling for nearly a year Triplelicious returned in full force in the spring of 2009, attacking any wrestler that got in his way. At the 12 year REUNION in Seekonk, MA Trip blindsided feuding brothers MTE and Tim Kilgore [***], attacking both competitors following their Seekonk Street Fight. Trip would then set his sights on the NCW Heavyweight Champion of the time Dean “The Beast” Livsley, using his own son as a distraction during intermission [at NCW Payback] in Dedham MA as Dean took a picture with the young boy, only for his father to attack the Champion. 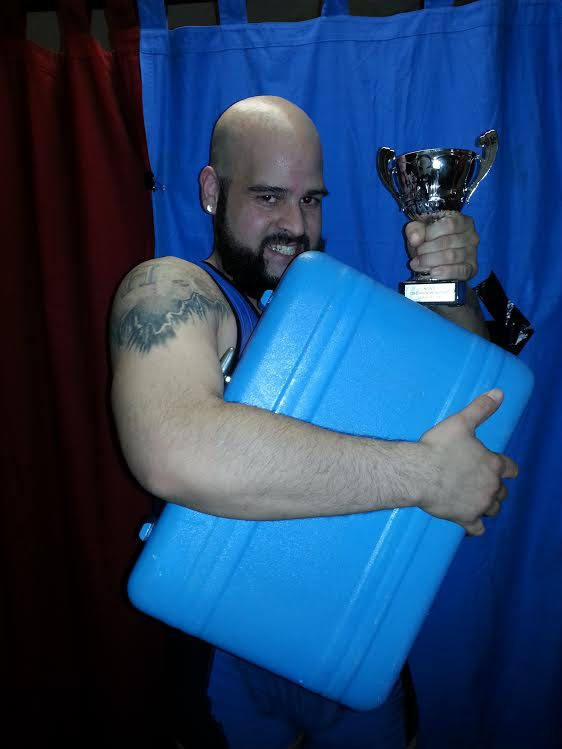 While Dean would retain his title against Trip, Livsley got a good idea of what he was capable of. When Triplelicious returned to NCW last year at COLLISION COURSE, he got the opportunity to wrestle “RIOT” Kellan Thomas in Kellan’s first title defense after beating Scotty Vegas at WrestleFest IX. While Trip came up short in this match, the seeds for the future were planted as ‘the Crooklyn Brawler’ looked to integrate himself back into the NCW fold while working out who the Champions were, and what their weaknesses were. 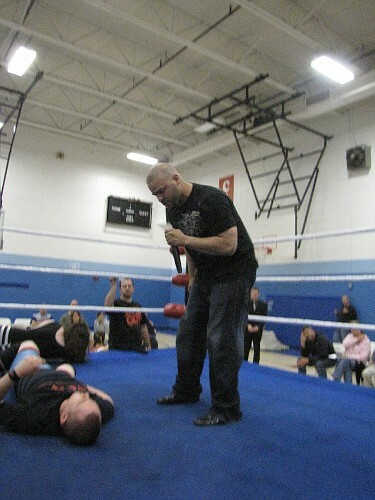 NCW New England Champion Rob “The Giant” Araujo was his next target, with Trip nearly walking away the New England Champion last April after using the help of then-Deputy Commissioner Richard Pacifico [****] as guest referee. If it wasn’t for Dean “The Beast” Livsley stopping Pacifico’s chicanery, Trip would have left Norwood the New England Champion. Some may have thought the NCW veteran had lost his way in the months following the 17 year REUNION, but the former Champion buckled down and began formulating a plan to take whatever he wanted as his own. This all snapped into focus at NCW WrestleFest X, where Trip eliminated Christian Casanova (after Casanova believed he threw Trip over the top rope) to win the Ox Baker Memorial Cup, earning a Championship Match against any Champion in the promotion. Rather than jump at the chance for glory at our 2015 debut, Trip waited until after “RIOT” Kellan Thomas defeated GA West [*****] while also waiting in the wings to see who came out on top, attacking the victor and proclaiming himself the #1 Contender in impressive fashion. At March Madness (one year after his heralded return), Trip was a smarter and wiser competitor, doing his best to out wrestle Thomas. After giving him everything he had in an incredible contest, Trip knew Kellan wouldn’t go down. He then made the call to draw the disqualification and forcibly take what he wanted, namely the Heavyweight Title belt. Knowing he would have everyone after him for the NCW title belt, Triplelicious did two things to ensure its protection (and his own). The first was lock the belt up in his Halliburton Briefcase, sealing it off all for himself. The second was hire Frank, a massive man with intense loyalty to his boss. At the Friday Night Fights we saw this first hand, as Trip utilized Frank to neutralize Kellan, Commissioner Livsley, and most importantly Rob “The Giant”, winning the NCW New England Championship under nefarious means [******]. Heading into NCW’s 18 year REUNION, the wily veteran has amassed an impressive collection as he prepares for war with “RIOT” Kellan Thomas. But how long can the pirate cheat and claw his way out of trouble before it all catches up to him? Hopefully we’ll find out May 1st. ** The volatile relationship between Richmond Black and Triplelicious would rage for years. The two reunited in 1999 to join the original Zero Tolerance with JC Marxxx. The two would split in September 1999 after egos got the best of them. In April 2000 after Trip won his 3rd Heavyweight Title and left Zero Tolerance, Black & Trip teamed together as The Gangsta Party and would remain close until Trip rejoined ZT in 2001 and Richmond Black was named NCW Commissioner in 2002. *** While Trip worked with Tim Kilgore in 2002 as a part of Zero Tolerance, he always held a grudge against Kilgore for defeating him for the NCW Heavyweight Title at the 2001 Big City Rumble. This is one of the main reasons why Trip attacked him & MTE at the 2009 REUNION years later. **** Pacifico and Triplelicious teamed and fought all throughout the early days of NCW, eventually building a level of uneasy respect between the two. Before Richard’s change of conscious, the Deputy Commissioner attempted to leverage that relationship against Rob Araujo. ***** Triplelicious would have been happy to attack “Simply God’s Best” GA West at NCW COLLISION COURSE 2015, as West made his NCW debut against Trip at the 2005 Big City Rumble, and the two also feuded upon GA’s return to NCW in 2010. 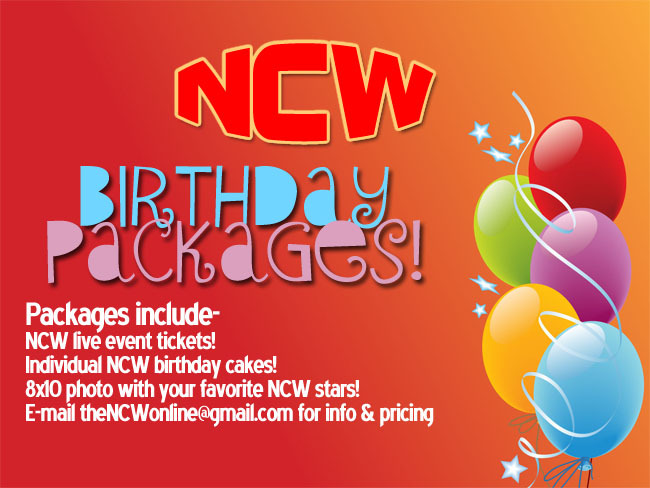 ****** At NCW COLLISION COURSE and the Friday Night Fights Triplelicious has stolen the memory card out of the NCW video cameras, erasing footage of him losing to Christian Casanova and then using the briefcase as a weapon against Rob “The Giant” for the NCW New England Title. 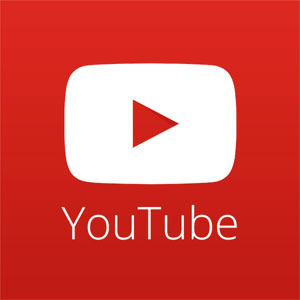 Trip has denied these allegations, however only his footage has been tampered with.